You are here: Home / Amazon Deals / NEW LOW PRICE: Amazon – Save on Rachael Ray 12 Piece Cookware Set (Agave Blue) – Under $80! NEW LOW PRICE: Amazon – Save on Rachael Ray 12 Piece Cookware Set (Agave Blue) – Under $80! Need a new set of cookware? 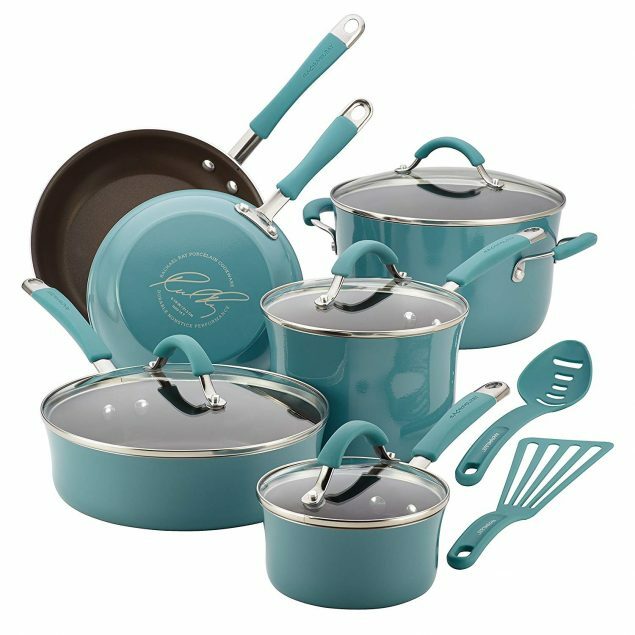 Save big on the Rachael Ray 12 Piece Cookware Set (under $80) in a beautiful blue agave blue color! This price is even lower than last week. These sets make great gifts at wedding showers or for kids going to college in the fall, too! 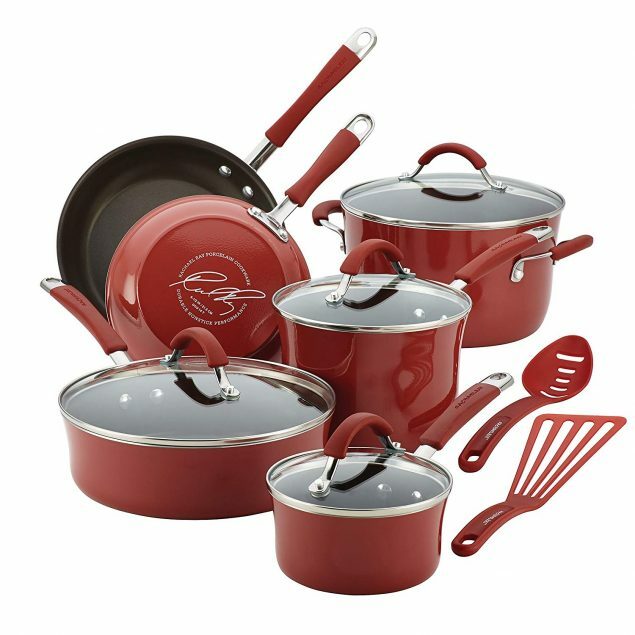 The red cookware set set is actually set at a lower price than the blue set if you prefer red over blue.